We know wedding costs add up, and The Wedding Chicks are here for you. Go ahead spend a little extra on those fancy Badgley Mishka shoes you wanted. 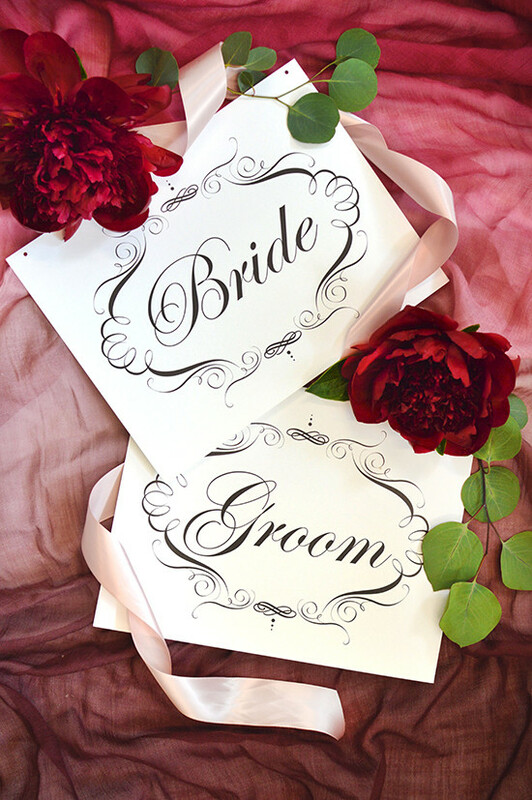 We have you covered in the wedding paper department with our Free Printable Wedding Invitations. From our free customized monograms to entire wedding suites we have it all, and we are constantly adding to our collection. 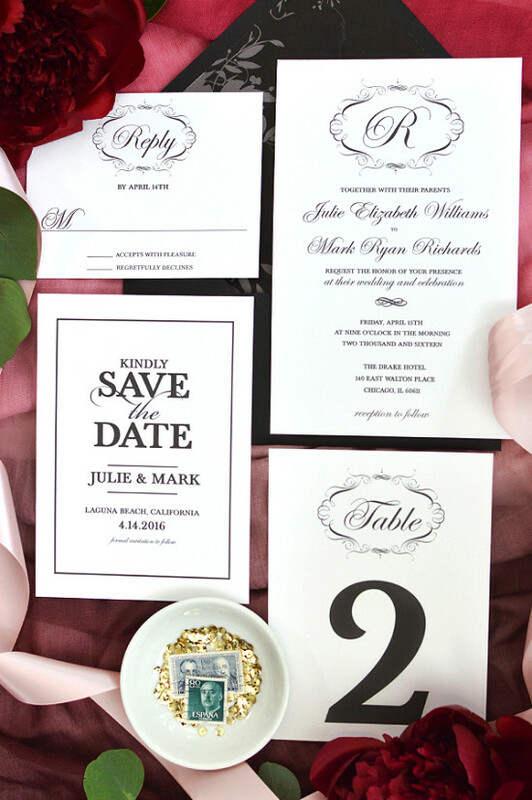 This week we are showcasing our Elegant Free Wedding Monogram Wedding Suite Collection. This particular suite includes the following and of course can be customized with your info and colors all for FREE- Save The Date, Invitation, RSVP, Bride & Groom Sign. Click here to get started. paper cutter hole punch Start by clicking here to find and customize your wedding suite! Once you are ready to print load your printer with your chosen card stock and click the download button at the top of the customize page. Open your downloaded file and click File > Print. This will give you a print menu. Choose number of copies, select the paper size, click Scale (not scale to fit) and click print. 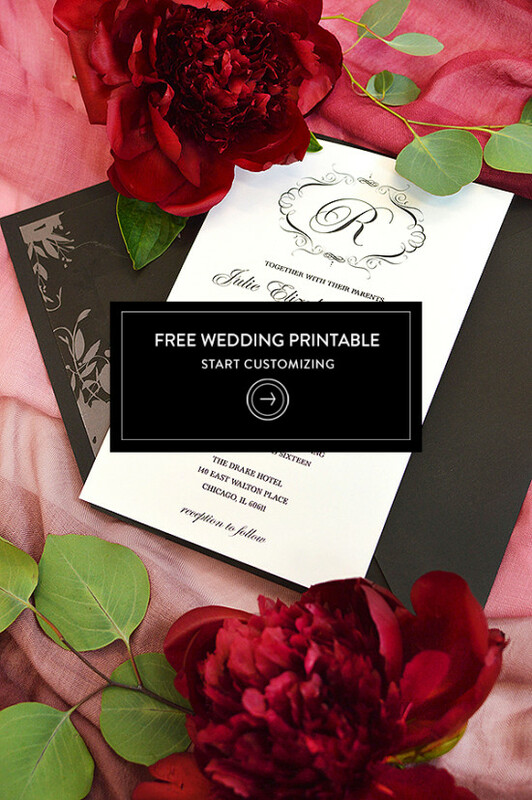 If you are not printing on precut card stock you will need to cut your invitations to the correct size which will have printed in the top left corner of your paper. With a ruler measure the shortest edge of your invitation (5 in) and lighting mark it with a pencil. At the bottom of the page do the same. Line up those marks with your ruler and cut. Repeat this with the long edge of your invite (7 in). 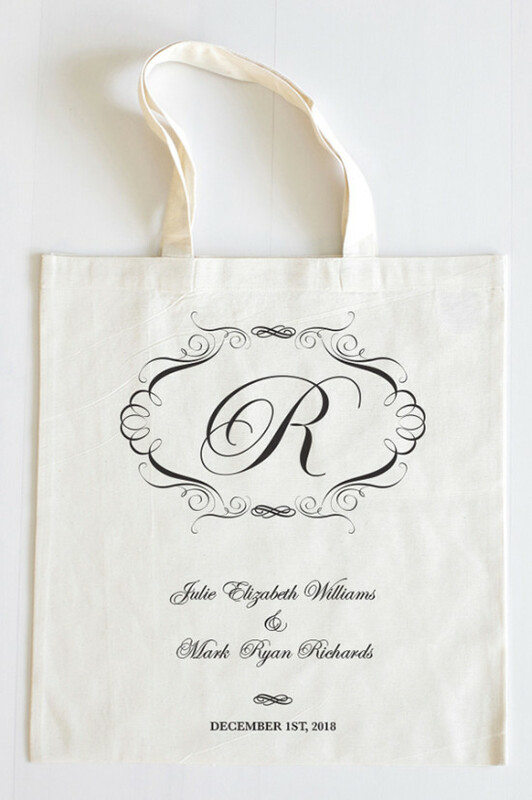 After you print out all of your pretty wedding paper, welcome your guests with our Elegant Monogram Tote. You have the option to customize names however you would like. Make it your own, and fill it up with goodies for your guests. A special shout out to fiftyflowers.com for providing us with the pretty flowers. Where you can order all your flowers online to create your own beautiful arrangements.